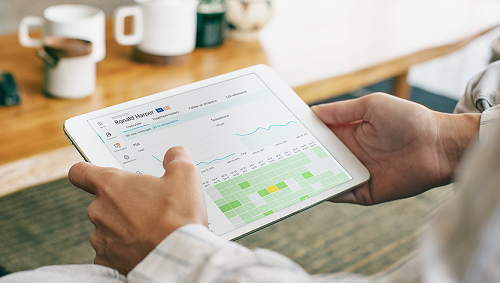 Finnish digital health company Kaiku Health Oy, which provides intelligent patient monitoring software for healthcare providers across Europe, has closed a €4.4 million funding round. The investment was led by Debiopharm Innovation Fund SA and Tesi with participation from Prodeko Ventures Oy and existing investors Reaktor Ventures Oy, Metsola Ventures Oy, and Athensmed Oy. Kaiku Health offers intelligent patient monitoring software for healthcare providers. Structured capture and analysis of patient-reported data enables clinicians to evaluate the effectiveness of therapies and to detect and treat health problems early. Kaiku Health platform is used in routine care by over 30 clinics in Switzerland, Germany, Italy, Sweden, and Finland, and has been used by 64,000 patients (March 2018). “We are excited about the impact digital technologies will have on the patient journey and are particularly enthusiastic to help take the digital therapeutic approach in oncology out of the lab and onto the market where the benefits of this high frequency monitoring can be expected to bring real outcomes improvement”, says Tanja Dowe, CEO at Debiopharm Innovation Fund. Recent research1 has shown that collecting patients’ subjective experiences and turning them into structured data can have significant impact on care outcomes. Kaiku Health’s intelligent digital platform can be applied for monitoring patient-reported outcomes in several medical specialties. Its unique algorithms screen patient’s symptom data, alert care team and trigger personalized instructions for patients. Structured real-world data on the efficacy of therapies allows early interventions and personalized care. Basch E, Allison MD, Mark GK, Howard IS, Clifford AH, Paul S, (2015). Symptom Monitoring With Patient- Reported Outcomes During Routine Cancer Treatment: A Randomized Controlled Trial, J Clin Oncol 2016: 34(6), 557–565. Basch E, Deal AM, Dueck AC, Scher HI, Kris MG, Hudis C, Schrag D. Overall Survival Results of a Trial Assessing Patient-Reported Outcomes for Symptom Monitoring During Routine Cancer Treatment. JAMA. 2017 Jul 11; 318(2): 197-198. Kaiku Health (previously Netmedi Oy) is a digital health company aiming to improve quality of life and reduce costs of healthcare through data science. We are digitizing the patient monitoring and easing the adoption of Patient-Reported Outcomes in several therapy areas. Our pioneering patient monitoring platform is used in routine care by over 30 clinics in Europe. Founded in 2012, Kaiku Health has raised over 6 million euros in total funding. Kaiku Health’s revenue in 2017 was approximately €0,7 million. We are headquartered in Helsinki, but our people also harbor in Frankfurt and Stockholm. For more information, please visit www.kaikuhealth.com and connect with us at Twitter @KaikuHealth.